The HR-4000 with its 4MP (2048 x 2048) resolution is setting a new standard in advanced imaging technologies for applications ranging from broadcast sports to high speed inspection. At full resolution (2048 x 2048), you get 179 frames per second. Like all Emergent Vision cameras, the HR-4000 series offers various triggering modes for the precise synchronization at <1µs. This combination is ideal for any application needing to see the details at real time imaging speeds. Overall, the HR-4000 delivers the resolution you need at unmatched speeds. Ultra Fast, High Resolution Increase production while maximizing resolution. 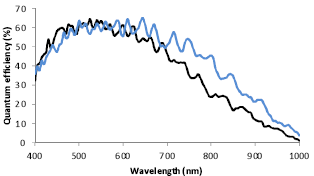 Great for discerning defects at a very high throughput rate. 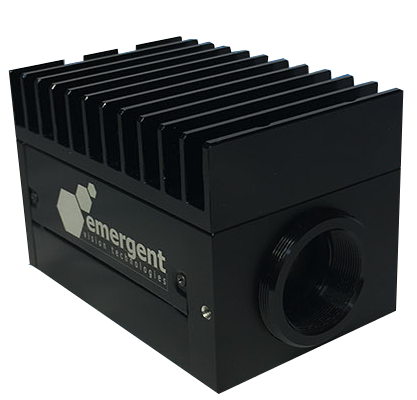 10 GigE interface Increased bandwidth, capable of high resolution and high frame rate or more than one camera through a single connection. Reduced power consumption and more cost efficient than GigE. On-board algorithms Reduces host CPU requirements. Global Shutter High resolution CMOS sensor with global shutter to ensure zero smearing at ultra-high speeds. 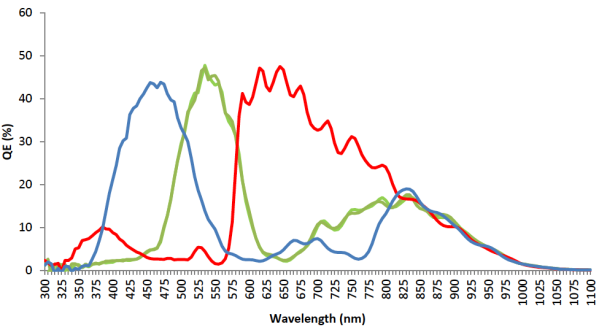 High Sensitivity Perfect for low light imaging applications such as ITS. Flexible Exposure/Integration Control Optimize integration of a wide range of lighting conditions; Match integration time with lighting control for maximum benefit.